Professional photo restoration and retouching is something that we reeaallly enjoy here. This service is very much dependant on the photograph and what is required to get it back as close to original condition (if not better). Everything from the scanning through to the supply of fully framed prints can be arranged should you require it. 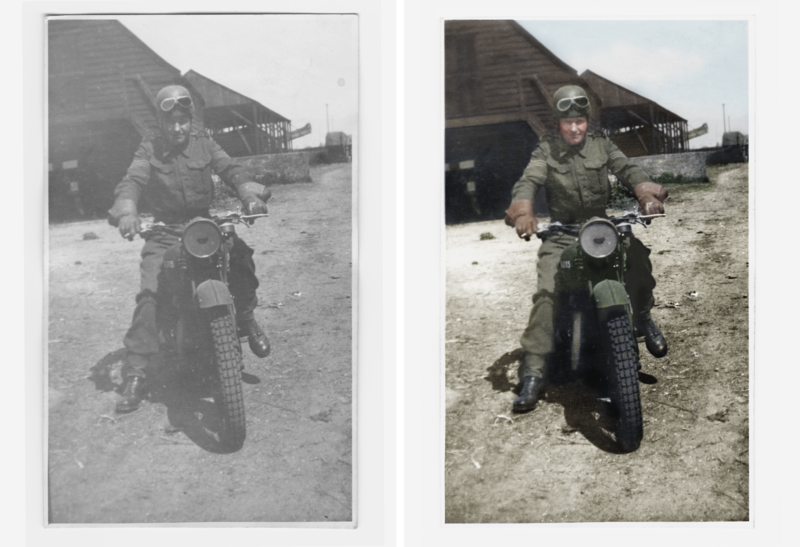 Using state of the art software and years of experience we're able to re-create and edit colours, lighting and contrast within a particular image and use a combination of techniques to re-build and repair damaged photographs. 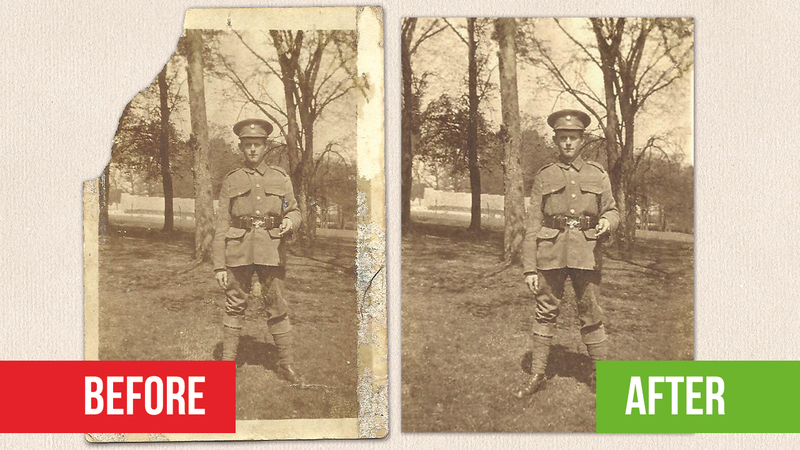 Here are a few previous examples of photo restoration projects we've carried out. If you're looking to discuss any retouching, repair work or restoration of your photos then it's probably best to give us a call or drop us an email with as much information as you can. Even better if you're able to include a photo or show us the image in question! Prices start from £20+VAT for image enhancing and move from there depending the scale of work at hand.